A couple of weeks ago we discussed how blogging can help you even if it never makes you rich. Today I’d like to focus on a single benefit of blogging that can make it a superior business opportunity: income diversification. Simply put, income diversification is the process of developing multiple income streams that broaden your income base so that you’re never fully dependent on a single source for your livelihood. This is the same principal that’s held up to be a virtue in investing, and it’s becoming no less important when it comes to earning a living. Think of it as building an income portfolio. I’ve written on the topic income diversification in the past, and it’s something I think we all need to be increasingly concerned with. In the past few years, jobs have been both harder to get and easier to lose, while raises and promotions are getting increasingly scarce. Many write this off as a consequence of the financial meltdown, but there’s too much evidence building that the downshift in employment is anything but temporary. Technology has finally reached the long predicted point of replacing people in jobs, and there’s no tangible reason to believe that the trend will reverse in the foreseeable future. Reality being what it is, our best response is to adjust our strategy by diversifying income sources beyond the job. Not everyone will be able to quit their jobs — or even should — to become entrepreneurs, but doing it as a supplement to a job is never a bad move. A side business venture can be the perfect antidote to a stagnant career or an income that isn’t keeping up with the cost of living. You create an income to offset these limits. As to the first advantage, blogging is totally flexible. You can put as much—or as little—time into it as you can handle. There are no hard schedules or deadlines. It’s largely creative in nature so you can grow it based on your own time table and abilities. The second point is one that I’ve experienced as a blogger myself. Once you’re up and running and growing your site, opportunities come your way. Since blogging is a very public business it can’t help but work this way. The business itself is networking in motion, and there are different ways this can play out. Blogging lead me to a side business as a freelance writer on other websites, that quickly became a full time business itself. And along the way, blogging has lead to advertising and partnering opportunities that wouldn’t have happened otherwise. These things happen because blogging is one of those businesses where you’re well positioned for them to come your way. Think of it as being like having a business location at a busy intersection. You can create an income that will enable you to create even more income streams. 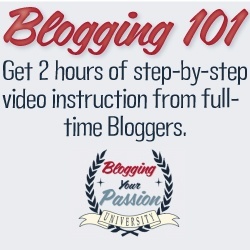 Can blogging work for you? I’m not even going to attempt to imply that everyone can blog and be successful at it. Many people try it all the time and only a few ever make any money at it. But money shouldn’t be the sole measure of success or failure when it comes to blogging. As you see from my own experience, blogging can put you in a place where parallel opportunities come your way, and that can be the beginning of your income portfolio. But beyond that, many people who have held jobs throughout their careers may be hesitant to start a business of their own. It is a leap of faith to go from a job to your own business, but blogging can take much of the fear out it. You can build your blogging career as a side venture, grow it at your own pace, and do it without major capital outlays. 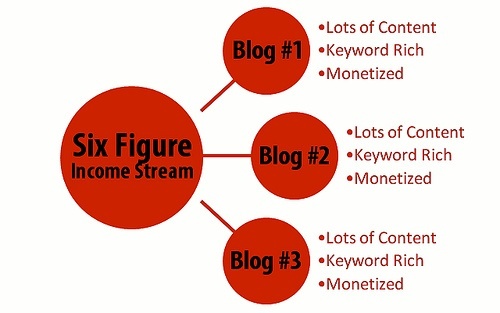 Those are some of the advantages of blogging as a source of income diversification. 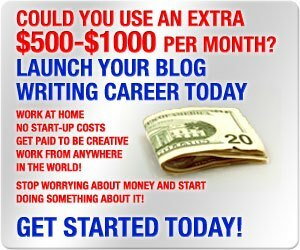 If you want to make blogging the most risk free way to create an income I’d also recommend that you get some help. Blogging can seem simple in concept—and it really is—but it’s the execution where most novices fail. If you’ve spent any time on this site at all, you know that I’m a big proponent of blogging as a way to either make a living or just to earn an extra income. That’s what I’m doing so it’s natural for me to recommend it to others. But whether you go with blogging or not, begin now to build an income portfolio. Create an income source—just one—then add another, and another. Each of us has different skills, talents and passions. Identify yours and find a way to monetize them. You don’t have to quit your job, in fact in this economy I’d say that’s close to the single worst thing you can do. I know there’s a lot of quit-your-job-and-follow-your-passions-to-riches hype being promoted all over the web and other media, but from where I sit that sounds more like committing economic suicide. Keep your job and be conscientious about it, but begin adding extra income sources to your income mix. That’s just about the best thing you can do to earn extra income and to open up some new opportunities in your career. And while you’re at it, you’ll be diversifying your income base, which will leave you less at the mercy of an increasingly hostile job market. ← Did the Meltdown Wreck Your Retirement?